A lively insider's guide to starting a successful small business selling items old and new on eBay, written with personal anecdotes, well–kept secrets, and insider tips by Adam Ginsberg, eBay's most successful private salesperson. This is the insider's guide to making money on eBay. 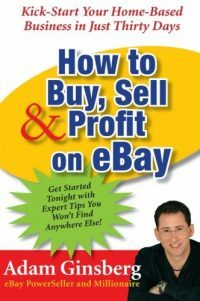 Adam Ginsberg is the most successful seller on eBay, moving around a million dollars' worth of merchandise every month. 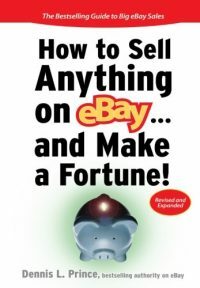 Not only will he impart his personal secrets on how to sell on eBay –learned through years of experience – and his tips on expanding your small business using eBay as a global market, but he'll also give fun side–notes and anecdotes, keeping the book lively and making it a fun and interesting read. 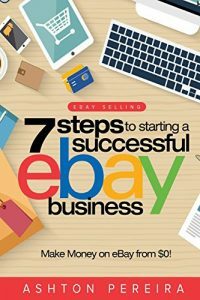 This book will be a must–have for all current and aspiring eBay sellers, all small–business owners, and anyone who wants to learn how to start a million–dollar company. Be the first to review “How to Buy, Sell, and Profit on eBay: Kick-Start Your Home-Based Business in Just Thirty Days” Click here to cancel reply.